Demand exceeds supply in 90% of major markets. 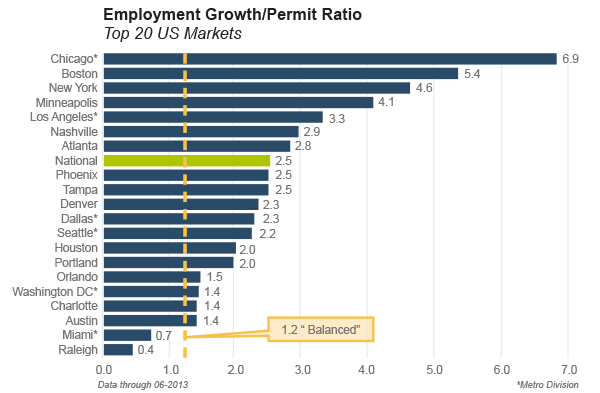 The employment growth-to-permit ratio (E/P ratio) remains above the standard equilibrium level of 1.2 in 18 of the top 20 markets. Nationally, the E/P ratio of 2.5 is well above equilibrium levels and up from a ratio of 2.3 a year ago. E/P ratios are most favorable in many slower recovering markets. Demand exceeds supply the most in many markets that are still in the very early stages of recovery, like Chicago and Boston. In Chicago, job growth exceeds permit growth by a factor of seven. The primary cause of limited price growth in many Midwest and East Coast markets is distress, which is steadily clearing. Once the excesses clear out, these markets are poised to appreciate quite well. Texas’ job growth continues to outpace supply. Robust economic growth will continue to boost prices in Texas, despite minimal entitlement barriers and permit levels that are near historic norms. Despite rapidly rising construction, Houston and Dallas are still adding jobs twice as fast as new home permits are being pulled. It is important to note that in most markets elevated E/P ratios are primarily the result of historically low housing supply, rather than strong job growth. 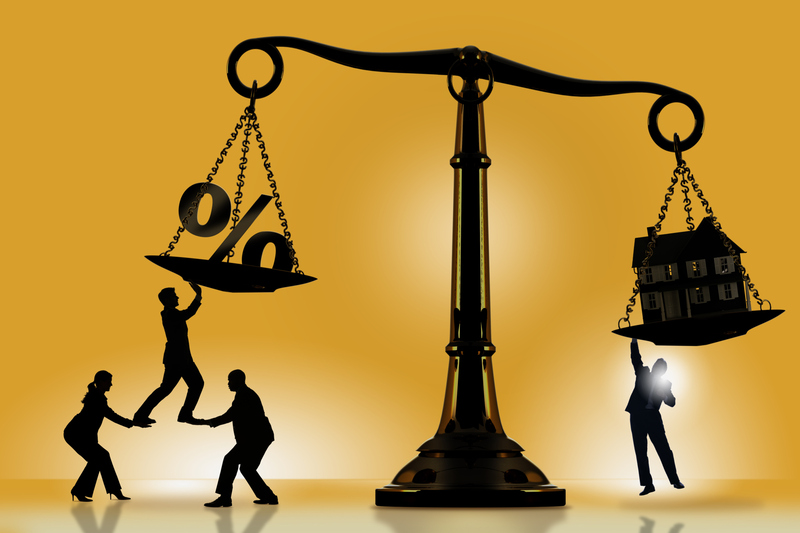 Price appreciation will be even more closely tied to job creation as new supply comes online and mortgage rates continue to rise to more historic norms.